Cost of workshop which includes meals and lodging: $525. ​There is no additional fee for materials. ﻿Learn how to create a backwoods American knife with creators of the Woodbury School Hershel and John House, along with knifemaker Joe Seabolt. Experience the satisfaction of creating your very own handmade knife. 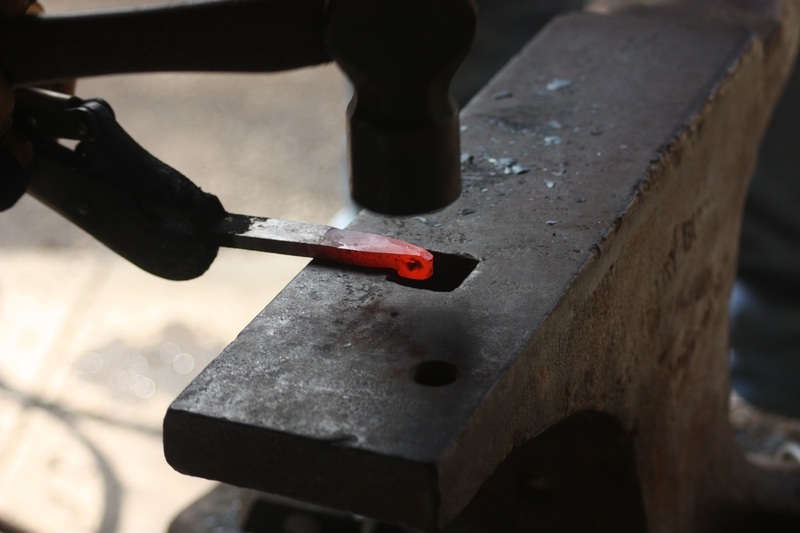 Working with hammer and steel at the coal forge and anvil, you will learn how to hand forge and temper a knife blade which you will use to construct your own Woodbury style knife. Properly used and cared for, your new knife will provide you with years of service. ​Blacksmithing / knife making experience is a plus, but not a requirement for registration - beginners are welcome. Basic raw materials and common hand tools are used. Work stations with forges and anvils, plus coal and steel are provided.